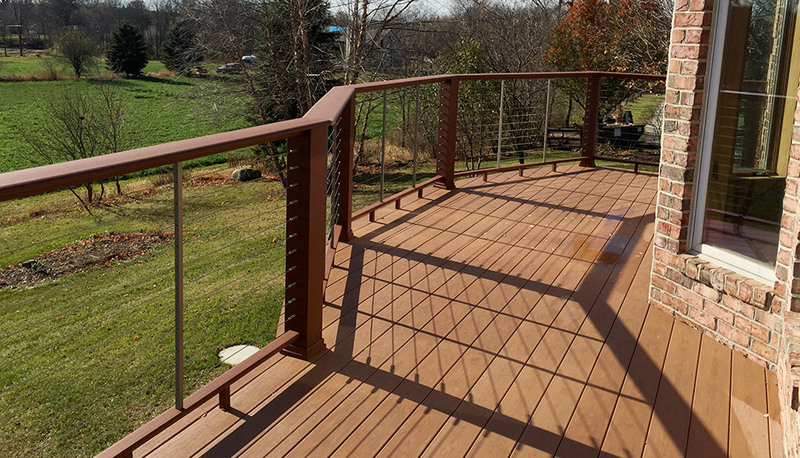 Our client wanted to add two radius-style decks to their home to complement the unique exterior and provide a beautiful outdoor living space to enjoy the amazing views that surround their home. 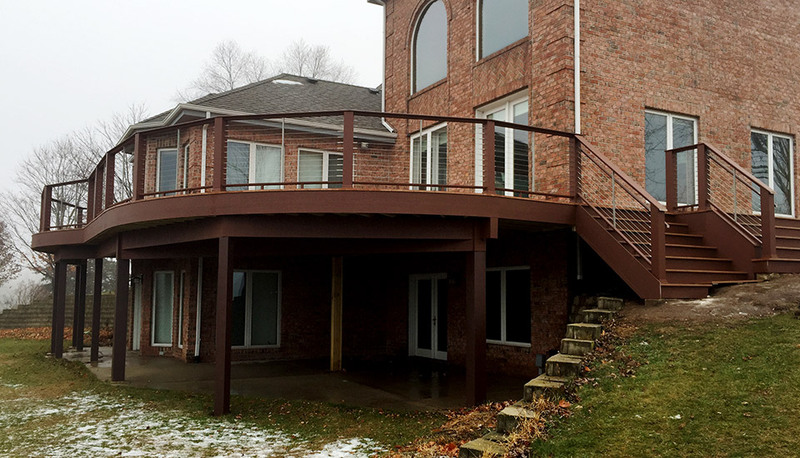 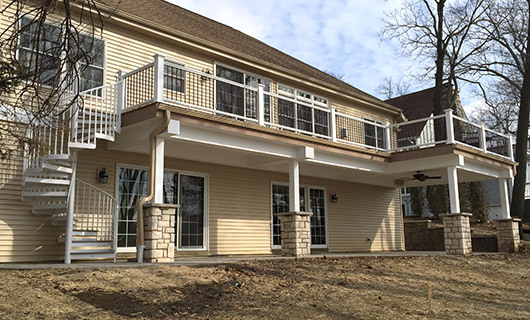 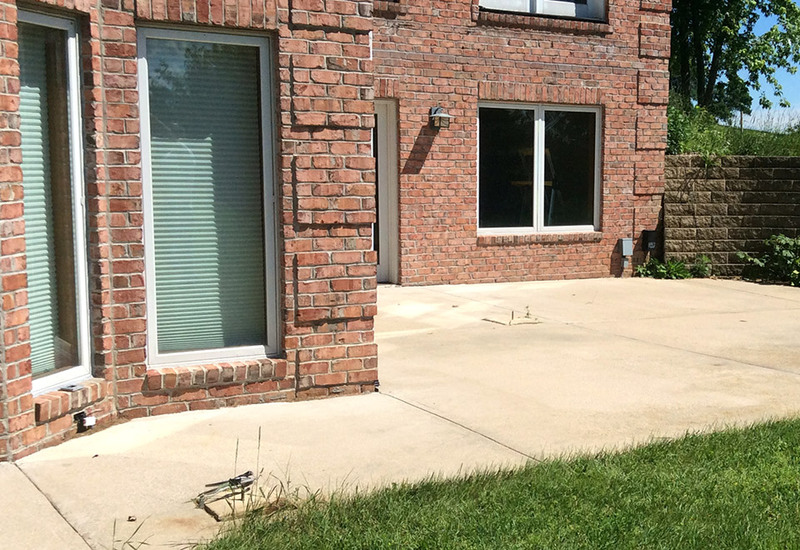 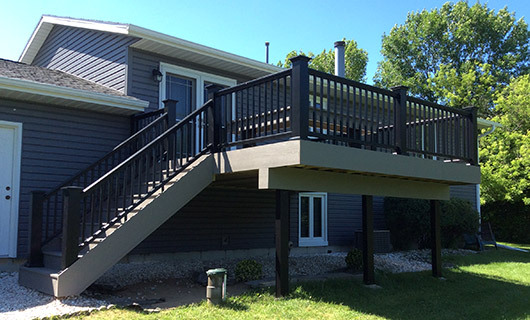 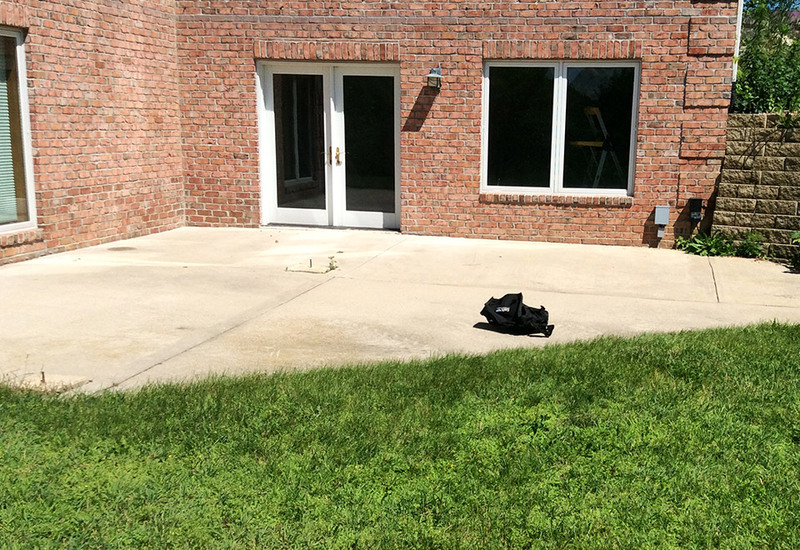 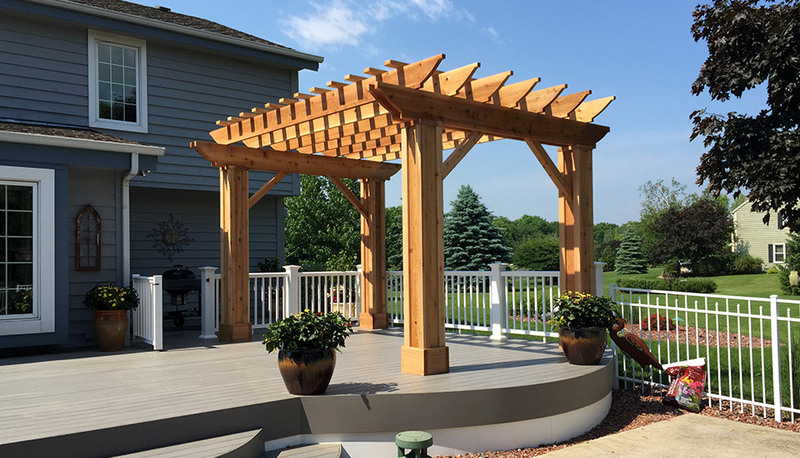 After reviewing their deck options, our client decided to create the ultimate wrap-around deck featuring two large-scale radiuses to accommodate ample seating. 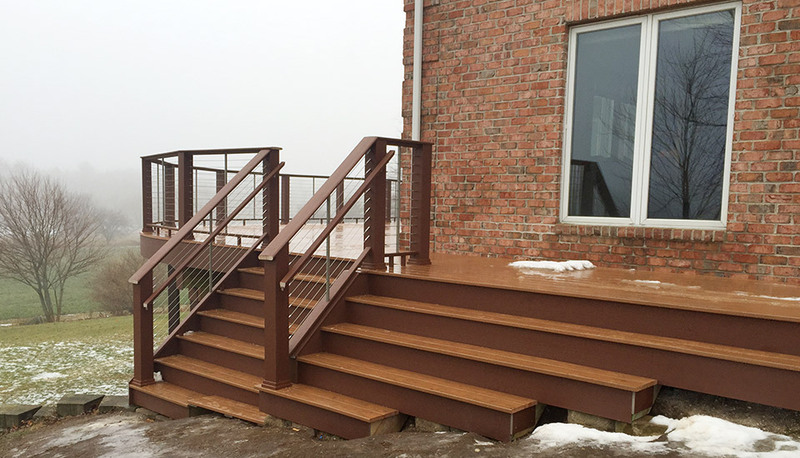 The Harvest Bronze colored deck features durable and reliable Azek composite decking with Timbertech brick colored skirts, risers & header. 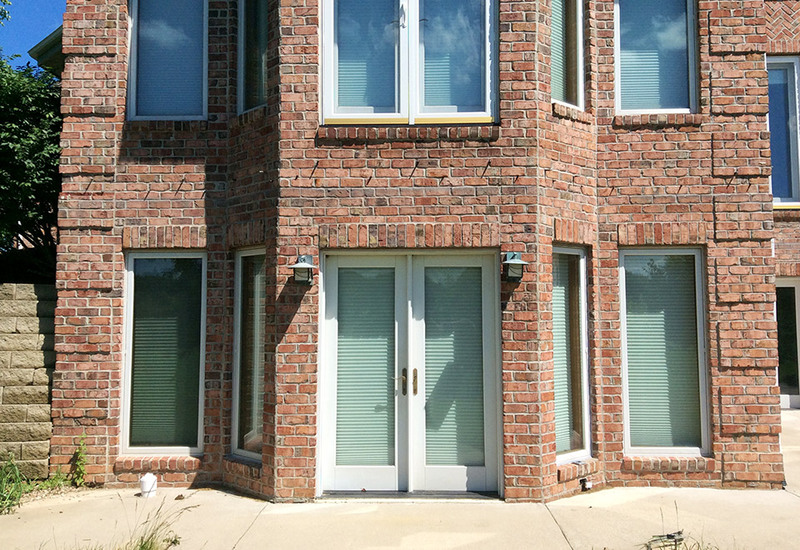 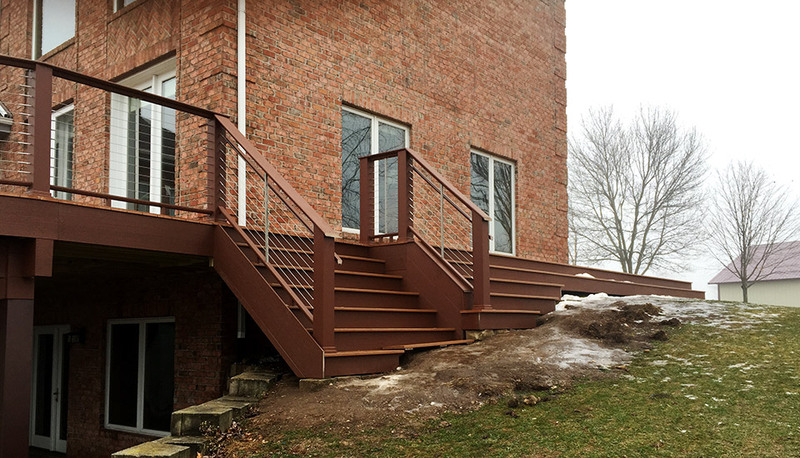 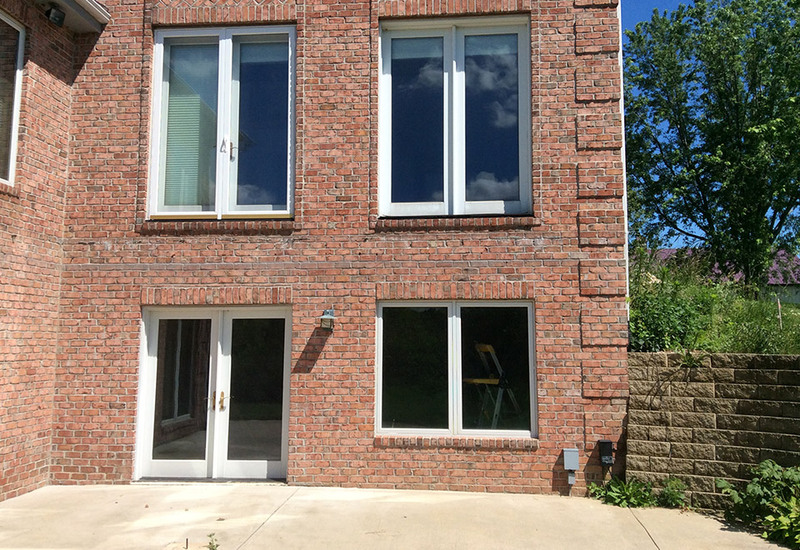 Contemporary style Evolutions Railing in brick color frame the decks with an elegant Feeney Cable Rail. 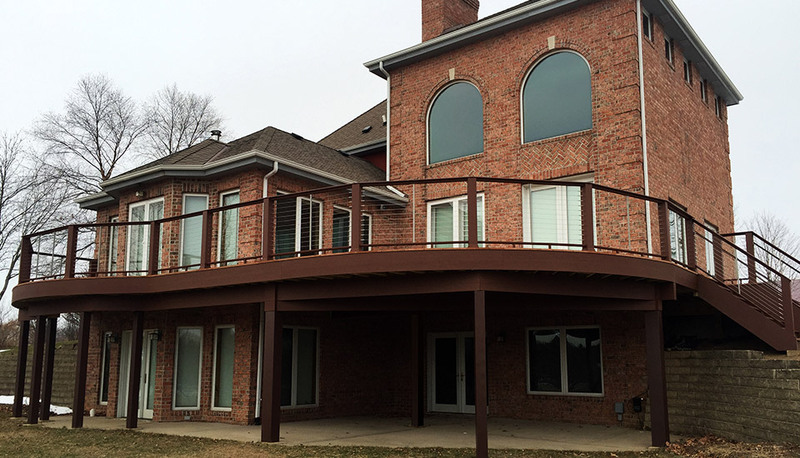 The custom radiuses overlook a gorgeous view that is absolutely breathtaking!